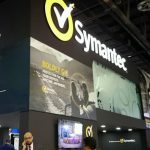 Dubai, United Arab Emirates: The reputable data storage and protection firm Condo Protego announced today that it will be taking part in the EMC Forum in Dubai to educate enterprises about the latest technology and innovation offered by EMC , the global leader in IT and business transformation. The firm’s participation in the industry-setting event is part of its ongoing efforts to help customers leverage EMC ‘s state-of-the-art IT solutions toward the growth and development of their businesses. With the Middle East expected to see spending on IT products and services increase 7.3 per cent this year to USD 32 billion, companies in the region are looking to generate increased ROI through innovative use of Third Platform technologies such as enterprise mobility, Big Data and analytics, and Cloud computing. “As data growth explodes and our industry begins to adapt Third Platform technologies, our customers need more information about how to manage the ICT landscape, and more importantly, how to succeed ahead of their competitors,” said Savitha Bhaskar, General Manager, Condo Protego. EMC will be sharing the results of a survey on the region’s emerging technology trends, including Big Data and Cloud computing, at its forum, which takes place at the Madinat Jumeirah Conference Center in Dubai on November 17. Condo Protego’s participation in the forum reinforces its long-standing relationship with EMC , the leading provider of IT storage hardware solutions. Condo Protego is an EMC Signature Partner and Tier 1 partner, as well as a certified EMC Services Partner. In 2013, the firm was rewarded the EMC”Best Enterprise Storage Division Partner in the Gulf” Award in recognition of its design-led consultative selling and project implementation. “The EMC Forum provides a perfect platform for us, as experts in data storage and data center security, to showcase these key emerging technologies and concepts to our customers, and educate them about how these solutions can help them meet their business objectives,” Bhaskar added. In addition to offering comprehensive solutions for data storage and protection, Condo Protego also offers a well-established security portfolio.